Northern New Mexico is known for tourist attractions such as artsy Santa Fe, eclectic Taos and the healing dirt of El Santuario de Chimayó. The region’s relaxing spas and skiing options present middle-class and wealthy visitors the opportunity to bask in the allurement of quiet and breathtaking landscapes. 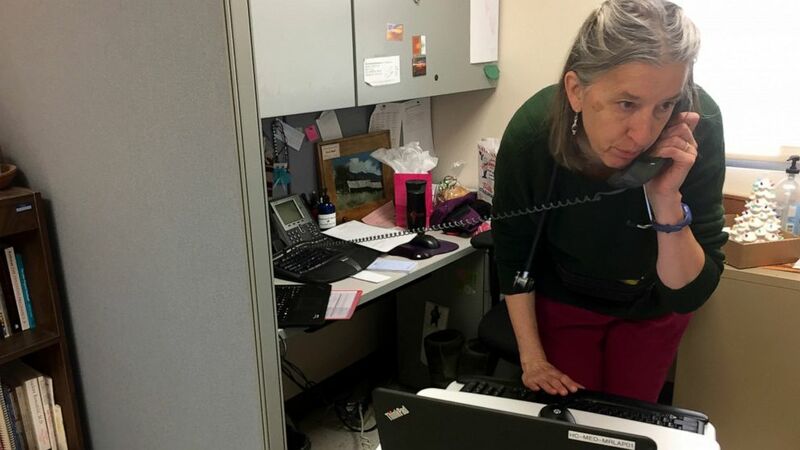 “The Providers” looks at the challenges three health care workers in rural New Mexico face as they give services to aging patients and those struggling with addiction to alcohol and opioids. They meet pregnant mothers on heroin, patients’ whose liver and stomachs have been destroyed by alcohol and aging residents begging for a just a little more dosages of painkillers. Staff shortages make the work overwhelming, so does the worry over funding home visits. Now, Probst leads dedicated staff members who travel into people’s homes and urge them to come in for routine checkups using tough love but no condemnation. “It was important not to create a project of hopelessness,” Green said. That’s why she and Moot-Levin filmed hours of the three providers interacting with patients and reassuring them they controlled their fate, Green said. “We found tremendous hope in the relationships, even in bleak circumstances,” Moot-Levin said. That’s what the pair sought when filming Ruge meeting with a patient named George. The man’s wife killed herself and now he was working to overcome alcoholism. After one visit, George told Ruge he had relapsed. “Are you mad at me?” George asked.